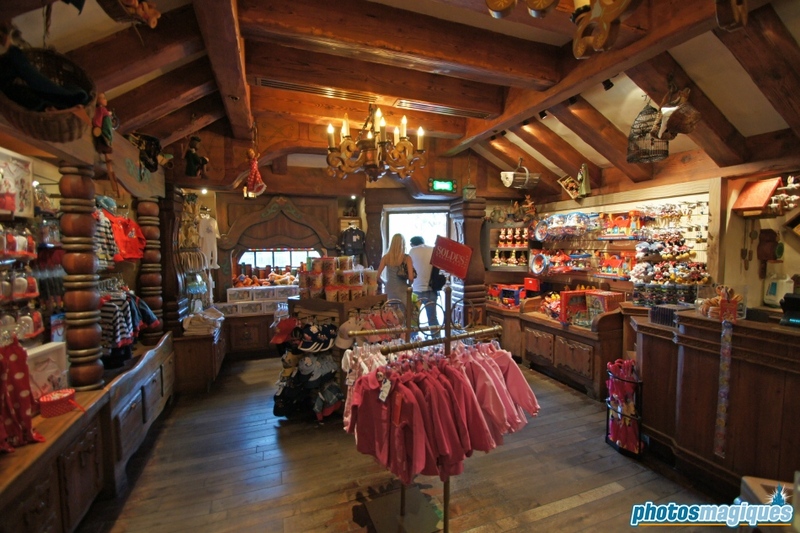 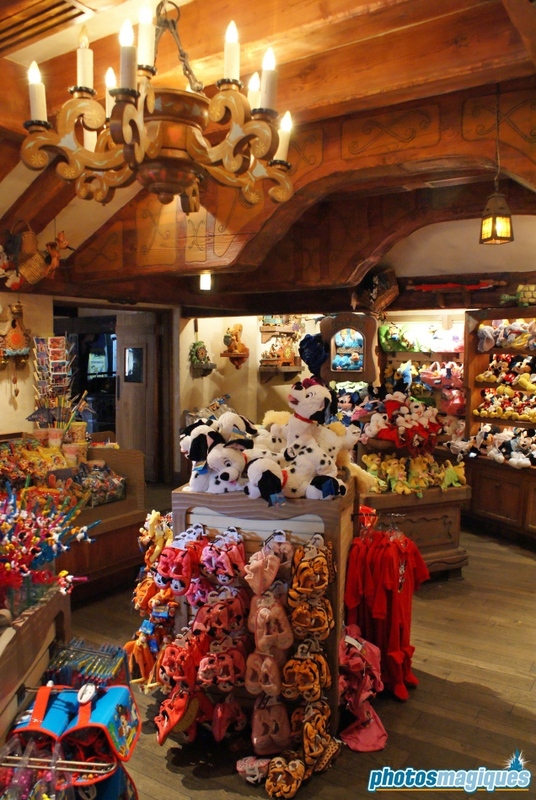 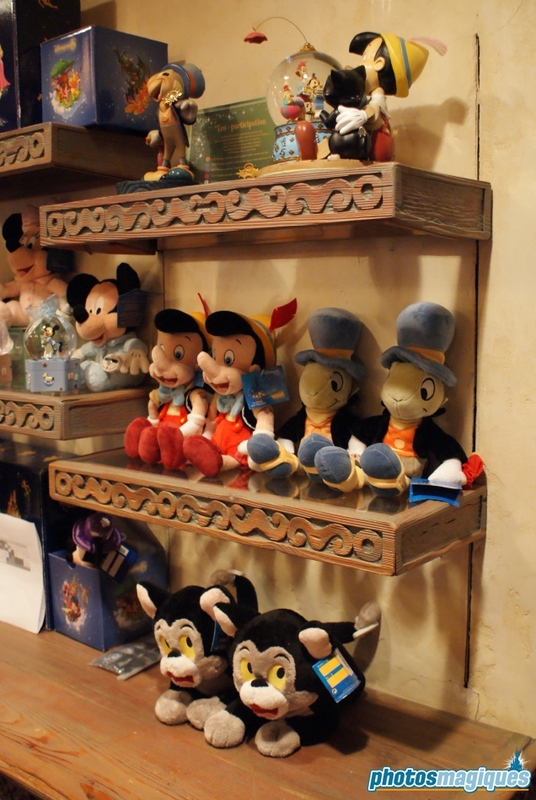 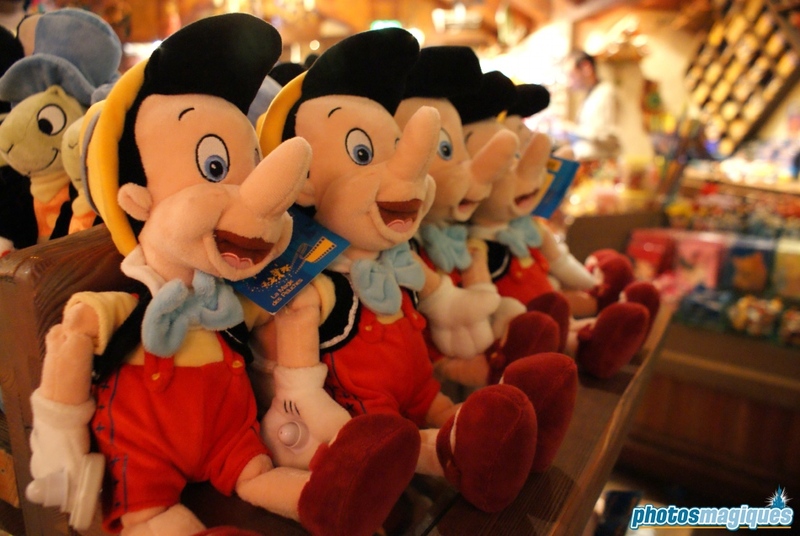 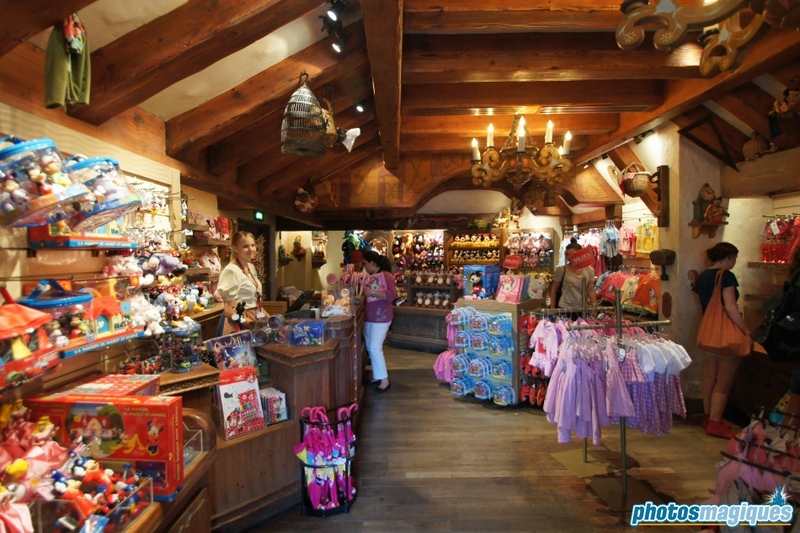 This small shop located at the exit of the attraction Les Voyages de Pinocchio sells baby apparel and toys for the little ones. 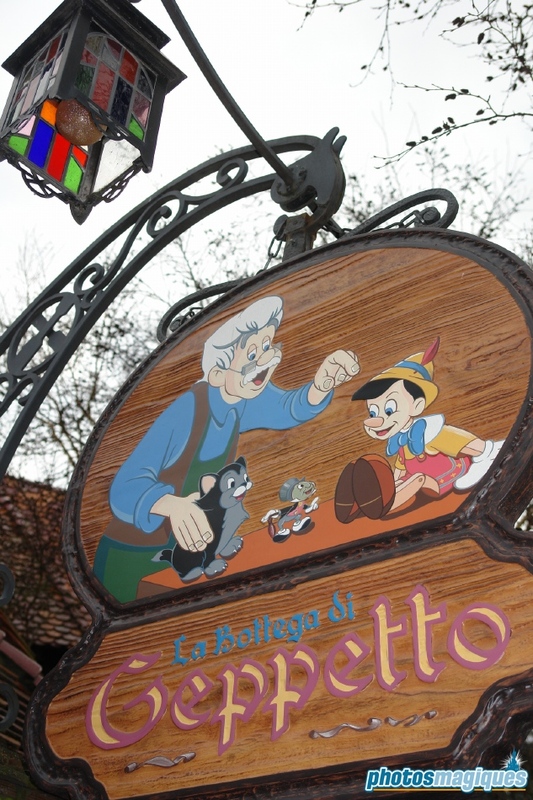 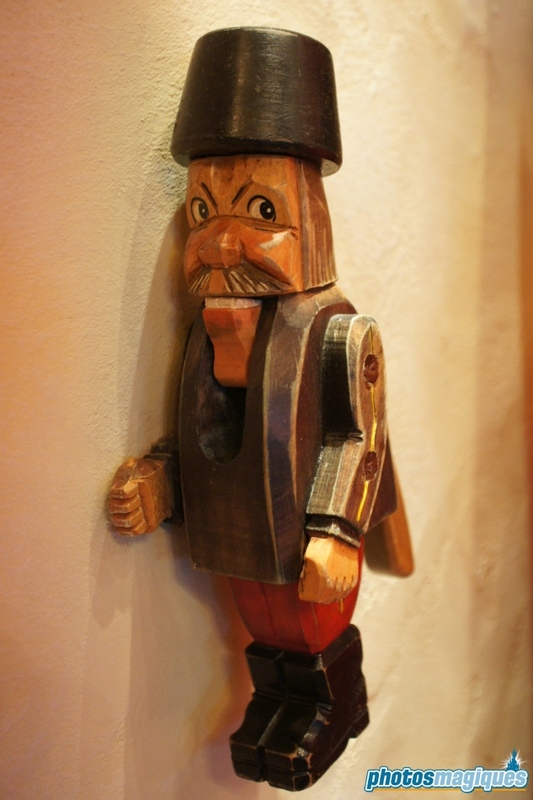 La Bottega di Geppetto is Italian for “Geppetto’s Workshop”. 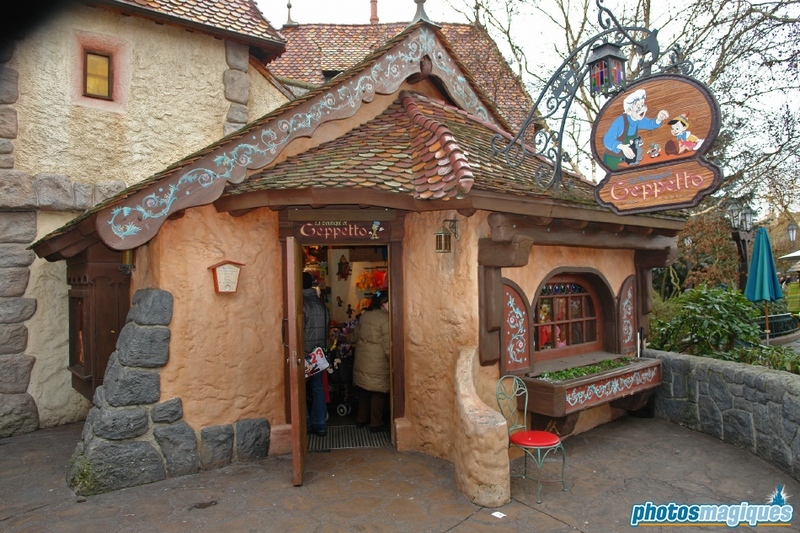 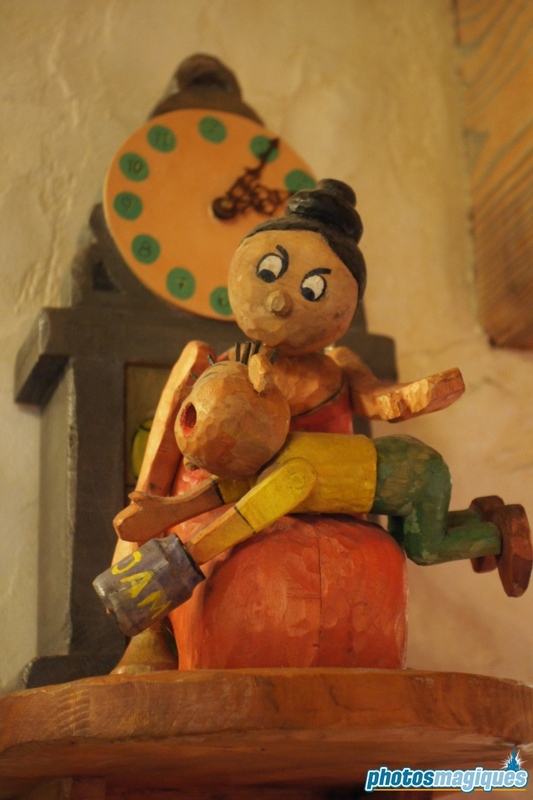 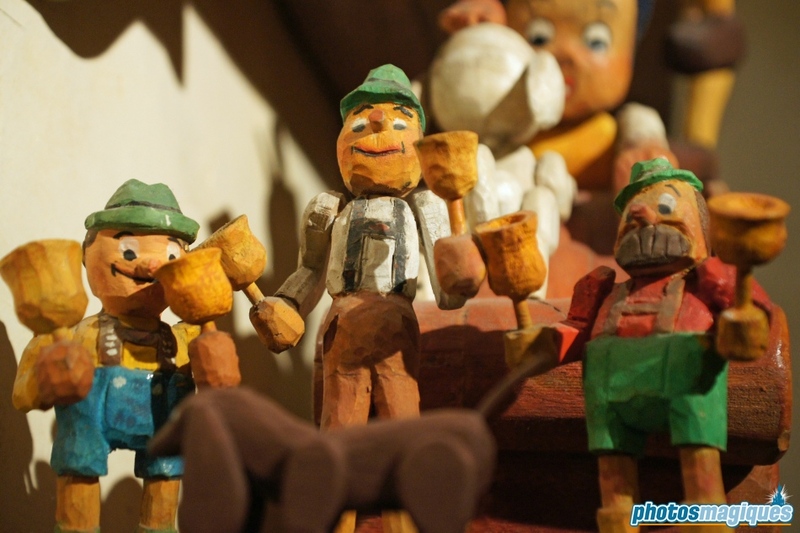 It can get a bit cramped inside La Bottega di Geppetto. 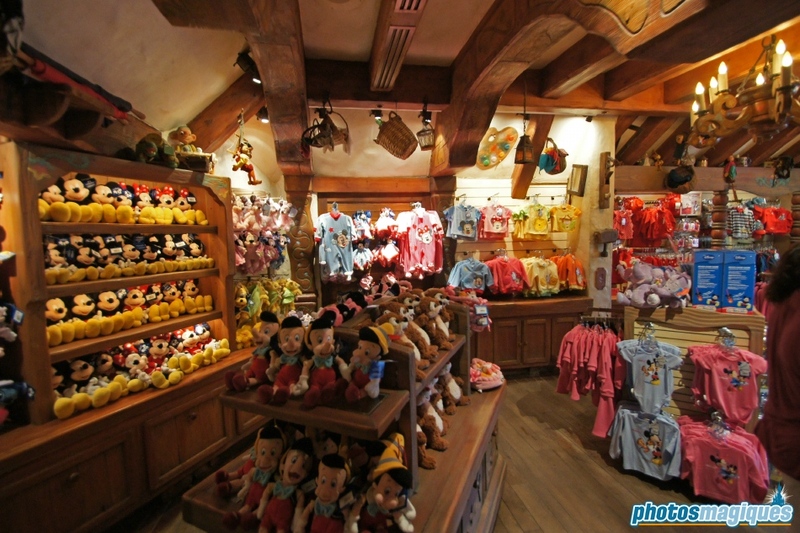 Bixbie Babies on Main Street, U.S.A. offers a similar assortment.